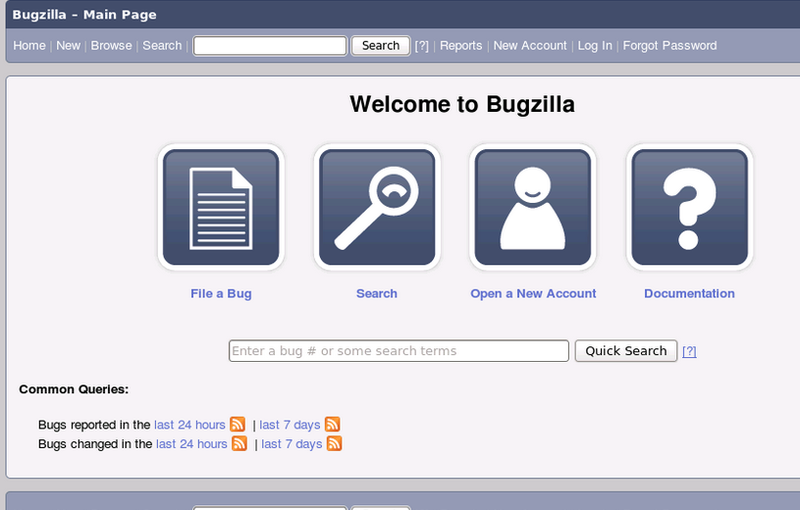 Bugzilla is an open source project; it is a well known web based bug tracker and testing tool. It is an optimized, well structured and secure system. It has integrated email capabilities and a comprehensive permission based system. Its most widely used open source bug tracker app, the most recent verion Bugzilla 5.0, was released few days ago. According to the Bugzilla development team, this release is best and most exciting version of Bugzilla ever. Most prominent feature of new release is the addition of REST-like endpoint web service. It lets users access bugzilla data using standard HTTP calls. Enhanced the caching feature of application by adding support for connecting to local or remote Memcached servers. Users can now add tags to bug comments. Improvements have been made to the Bug group membership checking. Let’s see how we can install this new Bugzilla version on our Ubuntu system, first of all, lets review what are the pre-requisites to intall Bugzilla? Following software components must already be installed on your Ubuntu system before your attempt to install Bugzilla. Run following command on your Ubuntu system terminal to install these dependencies. During the install process, it will launch a prompt to specify mysql root password. Note down the password you set here, as it will be used later when we will start configuring bugzilla. Once the installation is complete, run following command to start apache2 on your ubuntu system. 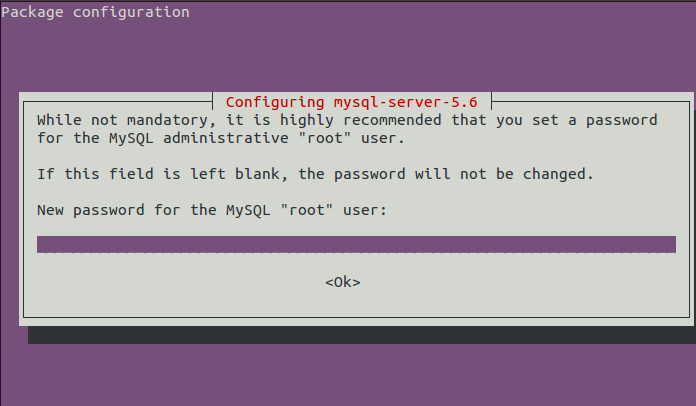 Lets create a MySQL database for bugzille, Login mysql by running following command and providing your password when prompted. 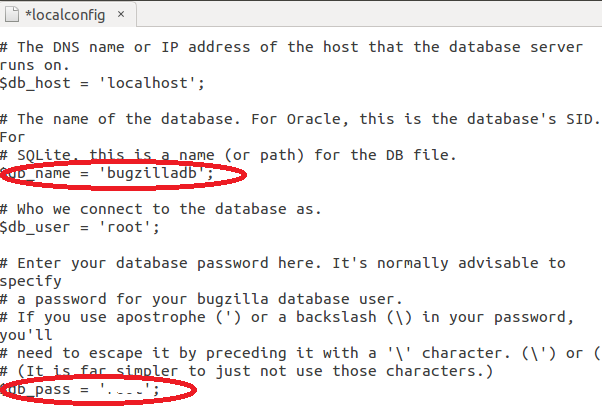 Run following command to create database named ”bugzilladb”, replace the name of database with whatever you want to call it. Here download the latest bugzilla 5.0 by running the following command. As soon as the download process is complete, extract the downloaded file. Here run following command to install all required Perl modules. This process should take sweet amount of time, just sit tight and keep eye for any errors. Once installation of perl modules is complete, run following command, it will check whether pre-requisites have been fulfilled and will generate “localconfig” file. Now edit the localconfig file in Gedit text editor by running the following command, and specify your database logins [DB name, mysql password] in this file. Bugzilla is most popular, widely used and stable bug tracker since 1998. It has hug fan following and user base. We hope this new release satisfies the thirst for advanced and new users. It is easy to install and configure, you can find lot of help regarding bugzilla operations from online tutorials and wiki pages. I was trying to follow all instructions above but in the end when I launched http://localhost/bugzilla in browser below is what I got instead of Bugzilla starting page. Can you please help and advise what can be the problem? # defined by the Mozilla Public License, v. 2.0. # else accidentally relies on the current login. # Make sure that templates or other code doesn’t get confused about this. # Return the appropriate HTTP response headers. # If ‘urlbase’ is not set, display the Welcome page. # Inform the administrator about new releases, if any. $dbh->selectrow_array(“SELECT COUNT(*) FROM bugs WHERE assigned_to = ? $dbh->selectrow_array(“SELECT COUNT(*) FROM bugs WHERE reporter = ? # Generate and return the UI (HTML page) from the appropriate template.